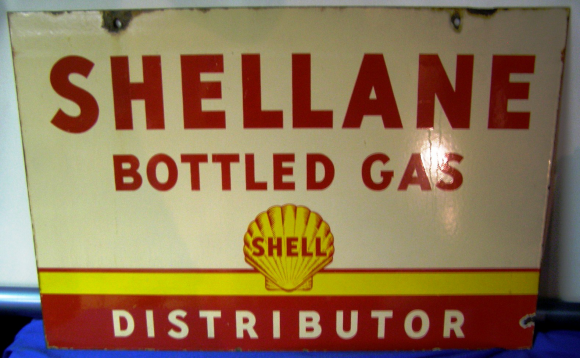 This is a rectangular Shellane Bottled Gas porcelain sign. This particular Shellane Bottled Gas sign is predominantly white with red text. It reads, “Shellane Bottled Gas Distributor, Shell” and features a yellow sea shell and red and yellow stripes at the bottom of the sign.